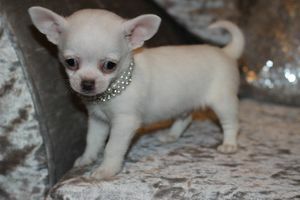 One apple head Chihuahua puppy left 9 weeks old. Sweet temperament. Home raised. Well socialized, non-destructive, sturdy and healthy.